It’s almost that time of the year again! We know you’ve heard about it, dreamed about it, and now it is time to make it a reality! 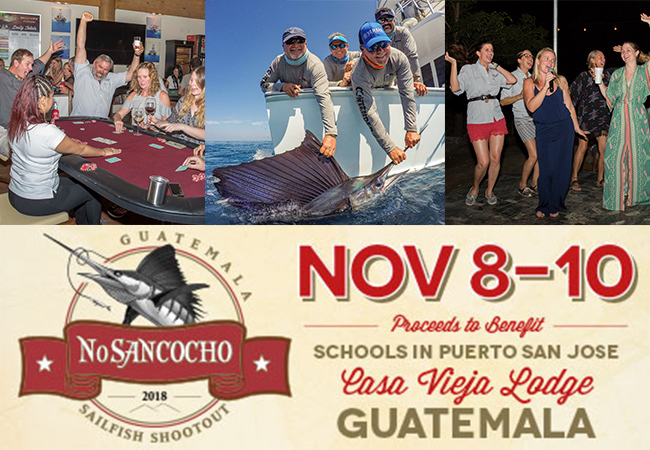 Come join us, November 8-10, for our Annual No Sancocho Sailfish Shootout at Casa Vieja Lodge. 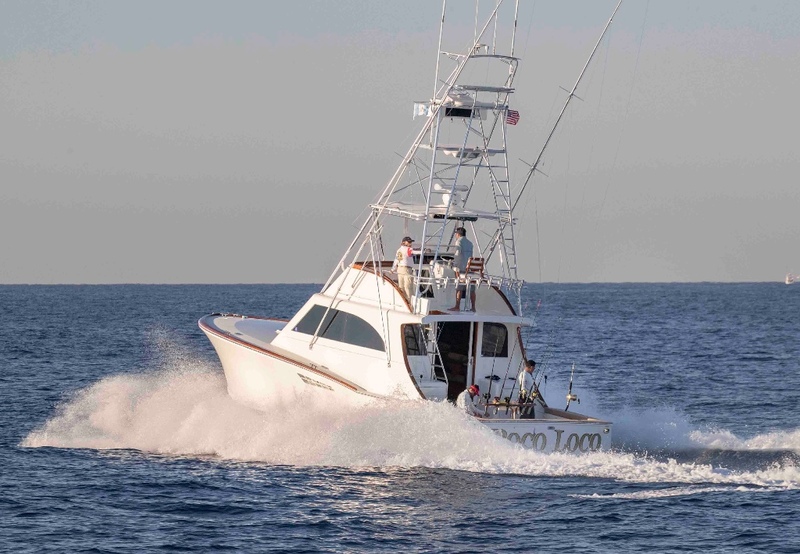 The No Sancocho Sailfish Shootout is Guatemala’s most exciting & prestigious billfish tournament, and anglers have more reason than ever to secure their spot aboard one of the ten boats in the Casa Vieja Lodge Fleet and get the best sport fishing experience on and off the water. At the end of the three-day tournament, the team with the most points wins. You and three teammates choose the combination of bait and fly casting that you think will earn you the most points based on the scale. If you can’t seal the deal, there’s more than just your pride on the line—every missed bite costs anglers $20. Money from every missed bite, or sancocho is then donated to a local school in Puerto San Jose. Even with some of the best anglers in the world participating, the past tournament was able to donate $4,270 from 93 sancochos and additional donations. Sign up for the glory, for charity, or just for the fun of it. But if you want a spot in the tournament, you’d better reserve your spot at Casa Vieja Lodge soon—boats are extremely limited. We are heading back on the road to visit some of our favorite tournaments and trade shows! If you are attending one of these events, make sure to spot by our booth and say hi! The Miami Office Team, loves to meet clients in person, as they don’t have the luxury to meet you in Guatemala! Additionally, this is a great and easy way to book your next trip to Casa Vieja! Our calendar is ready so you can choose your optimal dates! 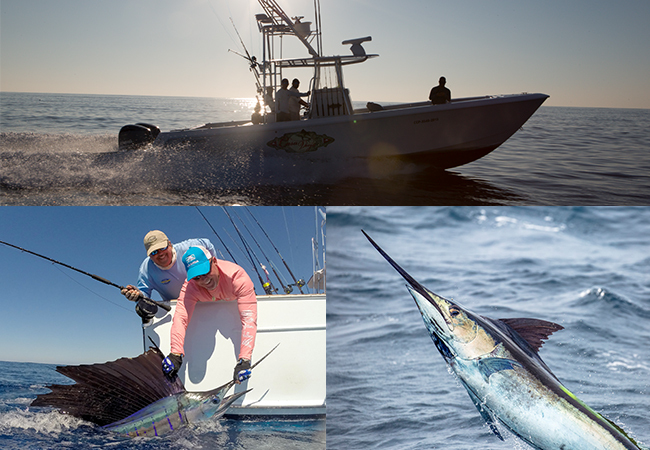 August 4 & 5: White Marlin Open in Ocean City, Maryland- meet us at the Registration Tent. 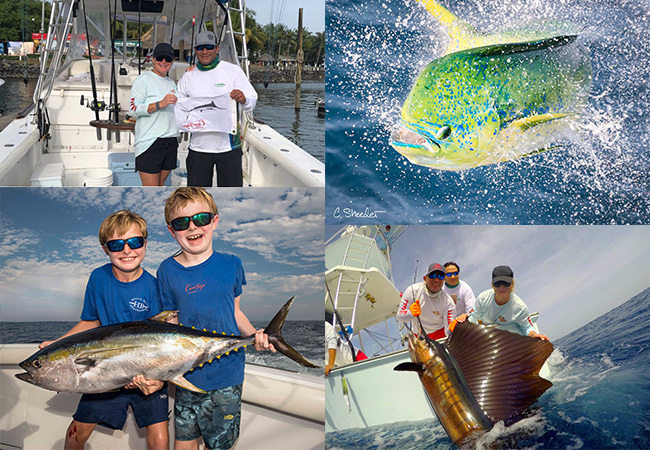 A heads up to all our anglers: January-March 2019 is almost, if not, completely sold out! We only have a few windows left, and they are going fast! Reserve your spots NOW before its too late- you have been warned! Catch Captain David Salazar tonight for Marlin Mayhem with Captain Rick Murphy and Brie Gabrielle on the Florida Insider Fishing Report. Make sure you hang on tight because Capt. Rick and crew have the inside hook on where and how to catch these billfish. Marlin are Dave’s favorite fish to catch so you’re sure to hear some great tips at the workbench as well. If you are in Texas and Fixin’ to go Fishin’ then the Texas Insider Fishing Report has got you covered! With a long week behind you and the weekend creeping in, it’s time to plan a day of fishing! Capt. David hangs out with Capt. Rick and fills him in on planning Corporate and Group trips down to Casa Vieja Lodge. Grab your rods, reels and coolers, but don’t forget to check up on the local Texas fishing reports! Thursday, Friday and Saturday the Texas Insider Fishing Report team will keep you in the loop. Most fisheries have a specific season where the fishing is better than others. Luckily for us, our sailfish swim in a fish bowl and are biting all year round. We average 12-15 sailfish raises per day, per boat year round. Yes, you got that right, all year round! Daily we are asked the same question, “What is the BEST month to come?” Our clients never believe our answer when we tell them the fishing is great year round, and it’s the truth! We don’t have any particular months that are better than another, they are all equally amazing. Historically, one week in each month boast those insane Guatemalan days of 40-50 raises. In June and July we have been averaging 20 sailfish raises per day, per boat! These numbers should stay constant throughout the entire summer. Luckily for you, our lodge is also open year-round and to be honest…the summer months are an undiscovered treasure with more blue marlin bites and packed full of yellow fin tuna and mahi mahi. If you are looking for a action filled summer vacation, look no further. Don’t forget, the bite is always on at Casa Vieja. Don’t believe us? See your yourself! We are the only lodge in the world to post our good, great, and greater daily fishing reports. You can always find them on our website HERE. Don’t see your boat… that means it’s not fishing! Both the Rum Line and Afinity will be debuting this fall looking younger than ever, after an overhaul in the Casa Vieja Lodge Marine Services Yard. PreviousPrevious post:Hey Papa! 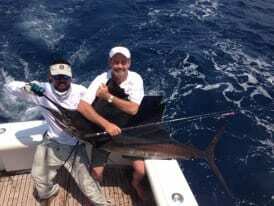 We Released 136 Sailfish Father’s Day Weekend!NextNext post:Shhh… Don’t tell Everyone about Casa Vieja Lodge!